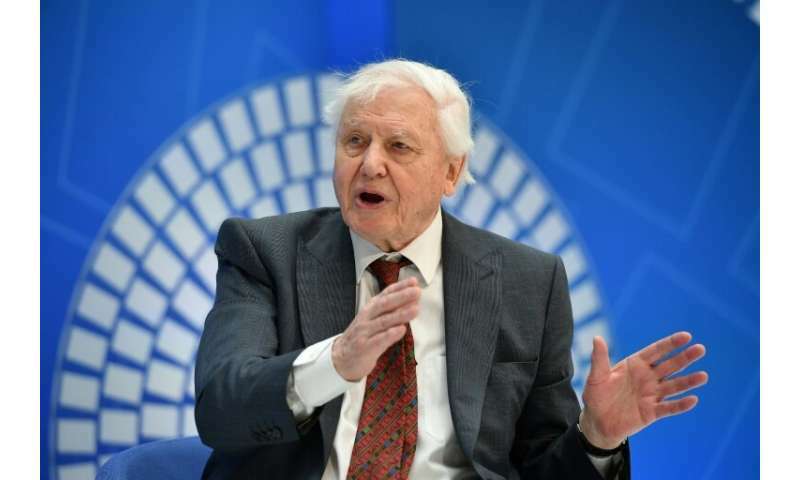 Overconsumption of the world's natural resources is unsustainably cutting into its ecological "capital," revered British naturalist David Attenborough warned Thursday. "Financial systems have a lot in common with natural world systems. Both are economies," Attenborough said Thursday during the spring meetings of the International Monetary Fund and World Bank. "If you deal with your investment... it's fine if you can take the profit, you take the investment, but you wouldn't be so silly as to eat into the capital. But that is what we're doing with the natural world all the time." The BAFTA winner and long-time presenter of BBC wildlife documentaries spoke with IMF chief Christine Lagarde. He said human beings and their domesticated animals now accounted for 96 percent of the global mass of all mammals. "We've eliminated the rest," he said. "Seventy percent of all bird species have gone. We are in terrible, terrible trouble." "I find it difficult to exaggerate the peril that we are in. We are in the process of a new fresh extinction which we know all about from geological time," said Attenborough. "This is the new extinction—and we're halfway through it." Early colonists in North America did not understand how their consumption of one species affected populations of others, he added. He pointed to the hunting of sea otters for their fur, which increased populations of sea urchins that had been preyed upon by the otters. The urchins then consumed more kelp, reducing spawning grounds for fish, which had previously been a great source of wealth, said Attenborough. "When you remove the kelp forests the fish could no longer survive," said Attenborough. "When you did realize it you could deal with it but it requires understanding." He also warned the time had long since come to deal with climate change. "The rate at which the climate is changing and warming, unless we act on the Paris Agreement to restrict that, we're going to be in real trouble," he said. "Otherwise, if we just go on thinking this is going to be fine, we are going to be heading for major catastrophes. No doubt about that."